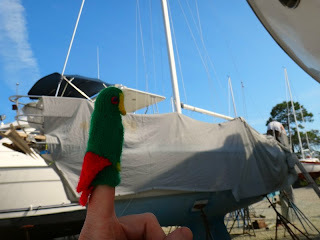 After 2 1/2 days of driving MiniBill was mighty happy to arrive at the boatyard in Florida. He was sick of being cramped up and eating road food. And it is so nice and warm here!!! And there’s green things here!!! One happy MiniBill and one happy Sailorgirl. First up is to take the cover off and de-stuff the boat. A closed up boat is like a closed up cottage, there’s a certain funky aroma that needs airing out. Here’s the crew on their first meeting. 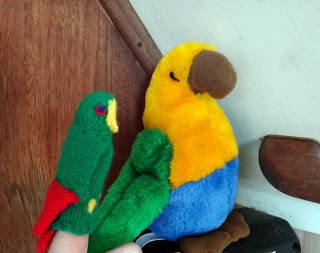 Bill meet MiniBill. Now which of you is going to scrub the bilge? 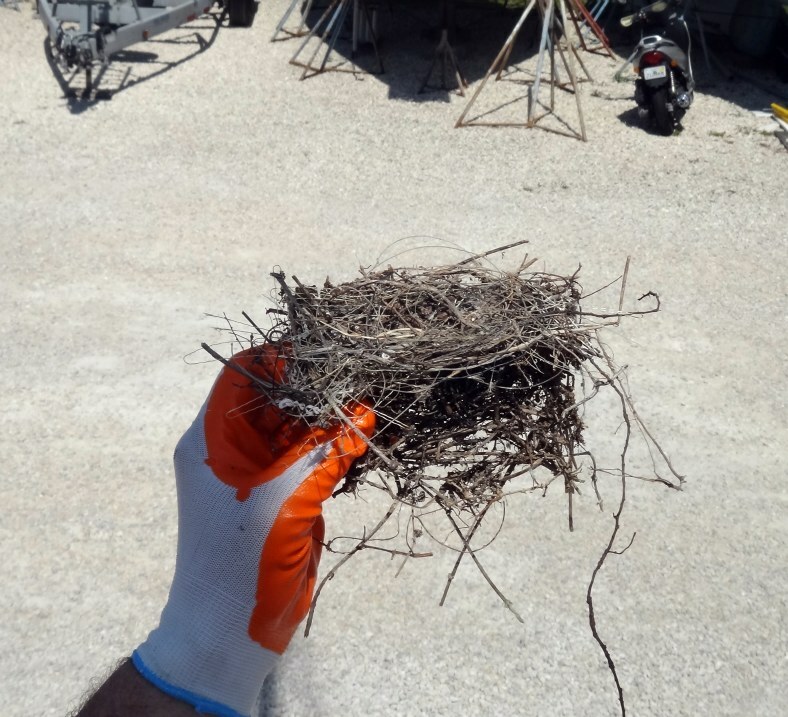 As we unwrapped the boat we came across this. 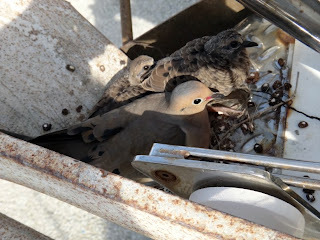 Tucked up in the anchor rollers, wedged tightly in where the buzzards can’t get to, is a dove and 2 chicks. There’s a few hours of “oh oh, we have to move the nest” and “what if we hurt them?”. We scout out locations we can move them to and the pirate guy dons a pair of gloves and goes to move them. I didn’t know birds could give you dirty looks but oh those doves did. And then one chick flies off, then the other, then mama bird!!! Yay!! !